Plot synopsis: A one-act, one-voice opera performed by Adelaide Bishop. This was a pre-release performance selected by The American Chamber Music Committee. Review: I am not wholly ignorant about, or indeed averse to listening to, opera but at the same time, I'm certainly no expert. As such, I found it almost impossible to judge this episode fairly, which is why I give it a non-committal three stars. To my ears, it sounded pretty terrible, but I'm willing to accept that the fault may be with me rather than the work itself; perhaps it is a masterpiece. At any rate, if you have no knowledge of, or interest in, opera I wouldn't recommend this episode as an introduction. For those who do possess knowledge and interest, you are probably better off forming your own judgments than reading any more of mine. Plot synopsis: The story of a man living in New York who chooses to be homeless. Based on an article first published in Harper's Magazine, in March 1956 (which was subsequently expanded into a book, first published in 1957). Review: For an episode about homelessness, this is surprisingly upbeat and cheery. It treats the main character's decision to become intentionally homeless as a quirky life choice, rather than as a sign of social or psychological malaise. Indeed, it presents homelessness as an almost idyllic existence, in which one is free of all ties and responsibilities. Days are spent lazily watching the world go by, reading abandoned newspapers, and visiting art galleries and libraries, with no worries about work or rent or bills. Sounds wonderful! Of course, there's a catch; in fact, there are many catches. First, the protagonist is able to survive as he does because he seems to live in a world in which, when he does need to work temporarily to make a little money, part-time jobs (in stores and restaurants) are always immediately available to start and stop whenever he wants. Was it ever really this simple, even in the economic boom years of the 1950s? Second, the main character is obviously atypical of most homeless people, in that he is an educated professional who could, crucially, return to a more normal life if he so chose - he is not an alcoholic or drug addict, and has no other serious personal problems that would prevent him from doing so. Yet it is only because he has this escape option, which most in his position do not, that he is able to treat homelessness in the carefree, romanticized way that he does. Third, he seems to lead a very charmed life, in which nothing untoward happens to him living on the streets - whereas for most homeless people, exposure to the elements, serious health problems, physical assaults etc. are much more the norm. Overall, then, while the episode is undoubtedly entertaining, it presents a very blinkered and complacent view of homelessness. For example, now as sixty years ago, the claim that 'no one will ever starve to death in the United States' ignores the very real problems of hunger and poverty that not only homeless people, but many other Americans, face as daily problems. Plot synopsis: After gaining his freedom, a slave in antebellum South Carolina attempts to inspire his fellow slaves to follow him in seeking liberty. Review: Old Time Radio was not known for its racial diversity, either in front of or behind the microphone, or for portraying anything like the reality of racial inequality and discrimination that existed in the America of its time. It perhaps says something that the most famous depiction of black Americans on radio during its golden age was Amos 'n' Andy, in which the eponymous characters were voiced by white actors - whether the show was racist (or funny) I'll leave listeners to judge for themselves, since it remains readily available for those who still find the idea of two white men pretending to be black amusing. 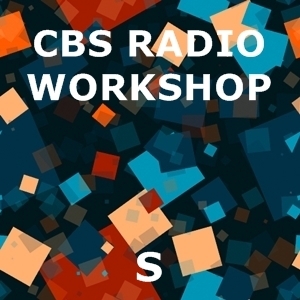 In any case, this CBS Radio Workshop episode stands out as a rare example of a radio programme of the era that deals directly with racial issues, specifically, the institution of Southern slavery. The script was penned by Richard Durham, a writer and civil rights activist who in 1948 created the pioneering radio series Destination Freedom, which chronicled the lives and accomplishments of leading black Americans; in 2007, Durham was inducted (posthumously) into the Radio Hall of Fame. Although ostensibly about the fight against slavery, the episode is plainly intended to serve as an allegory for the post-war civil rights struggle - it was broadcast in 1957, a time when the black civil rights movement had risen to national prominence and the issue of racial discrimination had begun to feature strongly on the social and political agenda. In truth, the story is not the greatest (it's no Twelve Years a Slave, for example) and the characters are largely just cyphers. Yet the episode remains of more than purely historical interest, and its rallying cry for freedom is still stirring decades later.